Dr. Matt Poore also contributed to this article. Johnny and Sharon Rogers with some of their red angus cattle. The tools to improve productivity that we have at our disposal are quite astonishing. Computers that allow us to analyze our operations, equipment used to plant/harvest crops to produce feed, and the genetic predictions used to select better livestock are just a few examples of tools that have changed livestock production. As managers we must determine which tools to incorporate into our farms and some will prove to be useful while others will be discarded. In grassland agriculture temporary electric fence has changed everything for us. Reels, poly-wire and tread-in posts coupled with a good energizer allow us to more actively manage our pastures. But, as with most technology, getting started can be a challenge. It helps to know that even the most advanced graziers started with a single strand (or 2-3 strands for small ruminants) subdividing one permanent pasture at the water source. From there, all improvements in your grazing management journey depend on “the power of one wire”. So, what benefits does adaptive grazing management – using smaller paddocks and more frequent movement – have on the system? 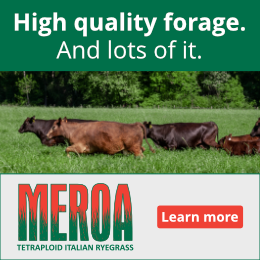 We know that when we only graze for a few days and then rest the grass for a long period the grass stand is healthier and produces more total forage. Furthermore, this approach alters the grazing behavior of the livestock making them less selective and improves the amount of grass consumed rather than wasted. These and other benefits are well documented, and it is all because of the effective use of temporary electric fence. But, many producers do not fully realize the numerous advantages of using this technology. So, what are some of the benefits you can expect if you adopt temporary fencing? Here are some of Johnny’s sheep. He reminds us that the concepts discussed in this article will work for all types of grazing livestock. He talks beef cattle in the examples here just to simplify the discussion. First, using temporary electric fence gives you the opportunity to observe your livestock as they move to new grass. Cattle producers can use this time to check body condition, udders, feet and leg soundness and fly populations. What about that cow that is moving slowly? You can clearly observe how she walks and determine if she needs treatment for foot rot or needs to be added to the cull list due to age or some other unsoundness. Most all of these items fall into the Beef Quality Assurance programs and will allow producers to effectively monitor their herds and provide for their welfare. 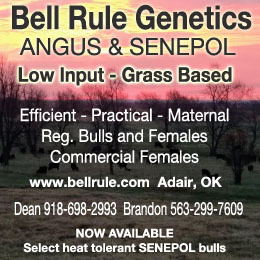 Moving cattle more frequently also improves their disposition and makes them easier to handle. Just moving them one to two times weekly can make a big impact as they will learn you most often are there to give them better grass, and they become accustomed to being near you and walking by you without being afraid. As cattle become familiar with this new management style they are also learning to respect poly-wire and it becomes a powerful psychological barrier. They are content to graze their forage allowance knowing you will return to give them new grass soon. The respect for temporary electric fence also allows it to be used to construct short-term lanes for cattle movement. On many occasions producers must move cattle across pastures without grazing them and a poly-wire lane will keep the cattle going the right direction. Cattle that are well trained can also be pressured and moved by the use of poly-wire. If you are alone and need to get up a group or an individual animal, you can hook the end of the poly-wire to the gate, and use the poly-wire to direct cattle where you want them to go. You can literally “reel them in”! If you have help, two people holding a long section of poly-wire between them can easily move cattle where you want them to go. This can be helpful when moving cattle from large pastures into lanes or holding pens. In some cases, with larger herds, three or more people can spread out and carry the same poly-wire to gently apply pressure to move cattle in the desired direction like a moving fence. It is truly amazing to watch the cattle avoid the poly-wire and flinch when it touches them even though it has no power on it! With the power of one wire, we can exclude cattle from heavily impacted areas that need rest or protection. A ruptured waterline or an overturned water tank can cause quiet a mess when cattle use the water and mud to cool themselves. A section of poly-wire can offer protection while this area stabilizes. Temporary fencing is also useful for managing other places animals congregate. For example, many pastures have limited shade during the summer’s heat and even in very large wooded areas cattle will find a preferred location and use it repeatedly. They may continue to use these sites during the winter. These areas will become degraded with excess nutrients, excessive mud, soil compaction/erosion and over time the trees may die. But, with the power of one wire, progressive graziers can subdivide their wooded tracts to prevent this by rotating/resting their shade. The fence is easy to construct and relocate as management opportunities change. Frequently, severe thunderstorms, tornados or tropical storm systems can knock down trees and damage perimeter fences, requiring a quick response from the farmer when they may have much larger problems to deal with. If your animals are trained to temporary electric fence, you can use those supplies to quickly reestablish the perimeter until permanent repairs can be made. Are you ready to give it a try and take the “One Wire Challenge”? Matt Poore with his nephew, Noah, who hopes to continue his uncle’s legacy into the future. We certainly use a variety of tools in livestock production. Some are very complex while others are quite simple. In the quest for continual improvement we must adopt technologies (tools) that move us forward. On our home farms it is difficult for us to imagine raising livestock without temporary electric fence. It is a tool that delivered a “breakthrough moment” and fundamentally changed our program. But it all started with “one wire” dividing a pasture in half and that’s why it is called “The Power of One Wire”. As with all technology, there is a learning curve and points of frustration. Don’t give up! Stay the course and learn how to use this valuable tool. It changed everything we do and made our farms more productive and pleasurable. Kathy says: I spent a week with Matt and Johnny in North Carolina this past January as a speaker for their traveling series of Amazing Grazing workshops. I learned a lot from them and the other speakers and I’ll be sharing more from them all in future issues of On Pasture. If you have topics you’d like me to be sure to cover, let me know! Johnny is an Extension Associate in Animal Science at North Carolina State University. 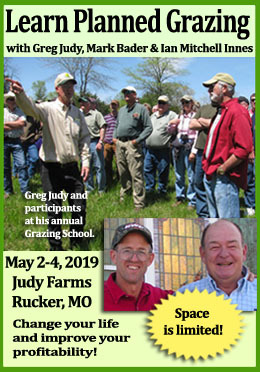 He coordinates their Amazing Grazing Program, a pasture-based livestock educational initiative that helps graziers improve profitability, animal health and well-being and environmental sustainability. Johnny and his wife Sharon also own and operate Rogers Cattle company, raising red angus bulls and bred heifers, and finishing beef and lamb for wholesale and farmers markets. A portion of their farm is dedicated to solar energy production. Agreed on the value of “Amazing Grazing” resources and workshops. More efficient use of hay. Wherever we want to improve pastures by feeding hay (see Jim Gerrish’s recent articles) or also exclude animals from a part of that pasture while feeding, we roll a bale out along a single wire. Depending on number of cattle, we put the single wire down the middle and let them finish it up, without soiling it. They feed with their heads toward the wire; their other end NOT over the hay. Then we move the wire over, and they finish the other half of the strip of rolled out hay, still clean so all eaten. If just a few animals in a group, we place the wire along one edge of the rolled out hay, and move it over as the cattle finish what they can reach. Again, clean hay, highly utilized. This minimizes soiled, wasted hay, concentrates manure and urine where needed most. And we no longer, this time of year, need to go back and remove or (try to) burn excess, thick hay that was soiled or trampled in, that risks choking out established pasture plants hoping to begin spring growth. Totally believe in the Power of One Wire and for all the same reasons identified by Johnny and Matt. Used it with great success strip grazing on our 640 acre farm at Gunnedah, NSW, Australia. Had to give it up last year when it got so dry that I couldn’t get the pig tail posts into the soil, even when (gently!) using a sledge hammer on the foot tread. We still had plenty of groung cover but I took it as a sign that continuing to graze when there was simply no sub-soil moisture would only cause harm. So, we sold the cattle and there still hasn’t been any relevant rain in the year since. Now, the weather boffins say we’re heading into an El Ninio, which means this will be our 4th year in a row of minimal rainfall. Looking on the bright side, we still have some of the best ground cover in the district, which has certainly been saving us from the dust storms afflicting many of the properties around us in a 60 mile radius. One day, it will rain properly and keep doing so and our pasture should bounce back quicker than on flogged out paddocks, allowing us to get in and buy replacements before the rest of the market has the feed to do the same.